A travel book for people who want to go beyond the well-worn tourist tracks for a deeper experience of the cultures and peoples of Southeast Asia. From Chiang Mai to Phuket and Pattaya, Thailand offers romance and adventure to quench the thirst of even the most adventurous traveler. The AAA Essential Thailand is an excellent overall guide for every traveler. 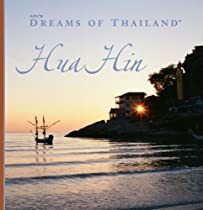 Written by a travel expert, it reveals a wealth of valuable information about traveling to and around Thailand. It’s packed in a convenient size for travelers on the go. With a top 10 list of must-see sights, easy-to-use maps, and the inside scoop on shopping, dining, nightlife, walks and tours, and children’s activities, this guide truly is essential to any successful trip!